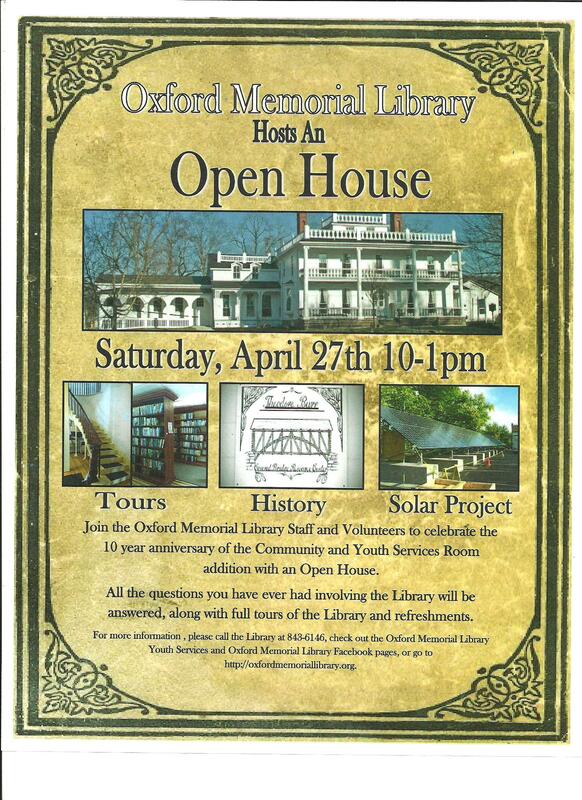 Oxford Memorial Library | Your hometown community center for information and entertainment. Your hometown community center for information and entertainment. 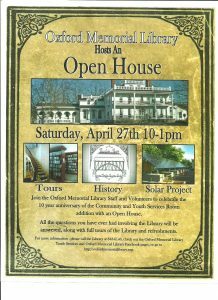 Chartered to serve the Oxford Academy and Central School District, which includes the Town and Village of Oxford, NY, the Oxford Memorial Library is a member of the 4 County Library System. This allows our patrons access to all the books and items we do not own through InterLibrary Loan. The McDonough Community Center houses a branch of the Oxford Memorial Library. We want to remind everyone of some important closing times at the Library so that you may plan your visit accordingly. The public access computers are turned off 1/2 hour before the posted Library closing time. Our Circulation computer (the one that is used to check out all materials) will be shut down 15 minutes before posted closing time. Please keep these times in mind when you come to the Library near closing time, and understand when we may not be able to accommodate you in checking out a book or DVD, or if you need to print out that last minute page! Check out the Family Programs Page for 2 Fundraising Events for the Theodore Burr Covered Bridge Resource Center in May!